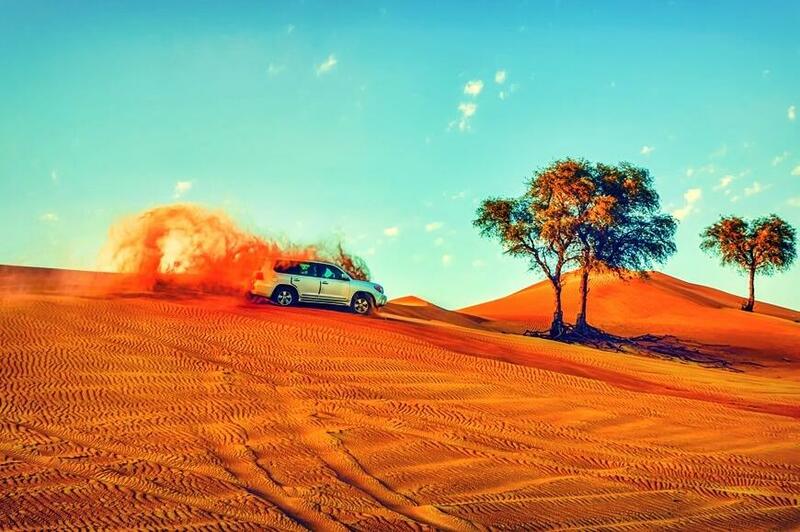 Let's pick you up from your Ras Al Khaimah Hotel and come with us to discover the Superlative Dubai and have an unforgettable Day Trip with your private tour guide. Let's pick you up from your Hotel in Ras Al Khaimah and heading to the Superlative Dubai. 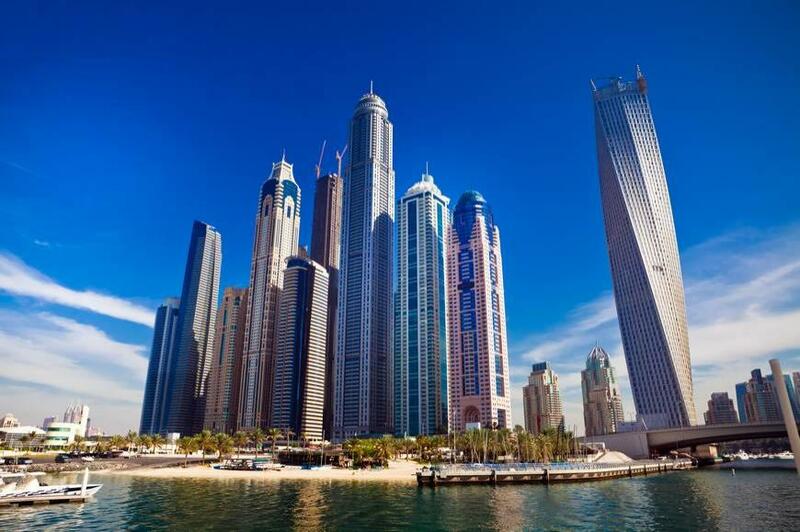 On the way to Dubai you will get useful information about the whole United Arab Emirates as well about Dubai. In Dubai, we will visit the old part, like Gold Souk and Spicy Souk, experiencing the traditional boot crossing Dubai Creek, getting to the new part of Dubai. Passing the Sky Scrappers, heading to Madinat Jumeirah "Dubai little Venice". From here you will have an unforgettable View to the 7 Star Hotel Burj Al Arab. Later on to the man-made Jumeirah Palm Island - reaching Atlantis - The Palm. Then we drive to the New Marina Dubai - having a walk through Yacht Ports - between 260 Sky Scrappers. Here comes the Highlight of the Day: Burj Khalifa "At The Top"
Experience worlds tallest Tower Burj Khalifa and use the fast elevator ever. Have an unforgettable 360 degree view over the city from the 124th floor as well the 125th floor. After this experience, you definitely need to watch the most beautiful and biggest Dubai Fountains that plays directly in from of Burj Khalifa. All this is happening in and around Dubai Mall - worlds biggest shopping Mall. In Dubai Mall you will also have the opportunity to watch the worlds biggest Aquarium (from outside). After this unique experience, it's definitely time for a delicious dinner on a Dinner Cruise in the new Dubai Marina. A relaxed trip passing the 260 Sky Scrappers and enjoying buffet dinner on the traditional boot at night. Capture beautiful photos for an unforgettable memory. Later on we head to Ras Al Khaimah, back to home sweet home. 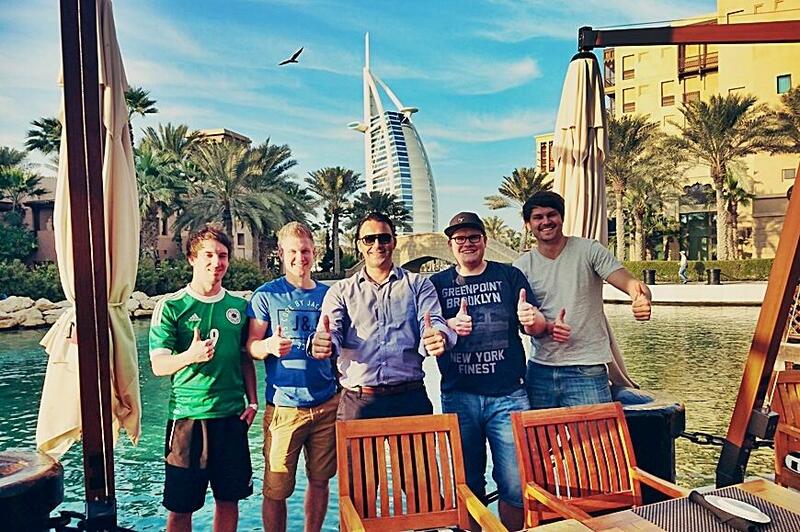 It's an unforgettable experience in Dubai - don't miss it. This tour can be up to 7 Days prior to Tour begin cancelled with free of charge.